After only just re opening in our new home, the team is expanding, and we are looking for ambitious and fun people to join the family, in our Front of House team, to be a part of figuring out our new space and helping set the tone and pace for the years to come. We are on a new adventure, and moving forward. We need you to be professional, positive and curious about everything that goes on in our wonderful industry. We place a huge emphasis on togetherness; one of the main foundations of our team culture. You should hold enough confidence to help every person around you. You strive to make your teammates better than you – you ensure that newcomers do not fall into the mistakes that you have made. You also have the essential drive to surrender yourself every day to the service of our guests, and Smile. Furthermore, you have a basic understanding of wine and beverages in general. You also know the basics about food – the rest we will teach you if you are eager enough. The perfect candidate has had a few years of experience, has been educated, speaks fluent English, and preferably one more language. If you choose to apply here, don’t do so if you are only looking for a short-term adventure. If you come here, it is because you know you want to be here for some years. This is important. Once you get here, you will understand that one year is not enough. We can promise you that it is going to be fun, you’ll learn a lot and you will be a part of what we consider to be one of the best teams on the planet: a team that constantly pushes. We too have travelled the world together, taking our team and their families to incredible places, to learn and apply our way of doing things in other places. To take that into consideration, you can be sure we will travel again someday. Up for the challenge? 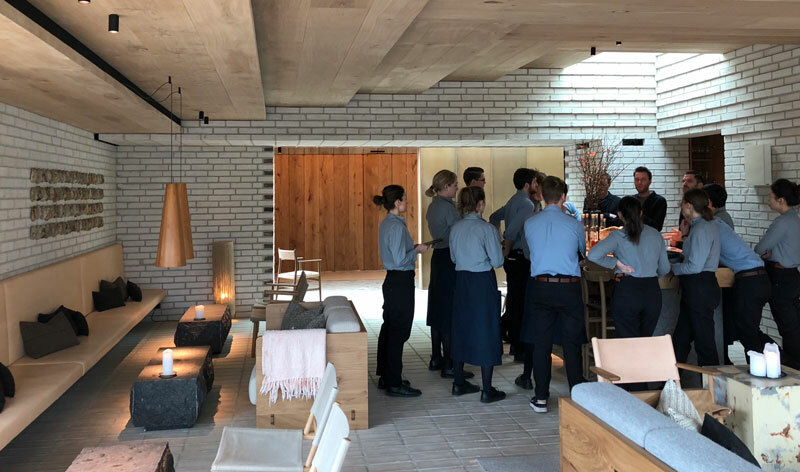 Please email foh@noma.dk with your CV and letter of motivation. We look forward to hearing from you! *Unfortunately, due to Danish immigration laws, only citizens of the European Union (EU) will be eligible to apply for this position.